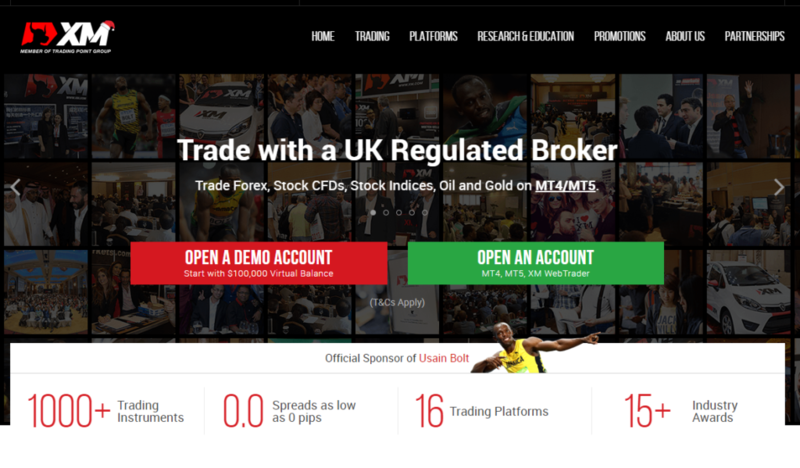 XM is definitely one of the biggest online brokers providing a wide range of tradable assets to its traders from around the world. The first thing you have to search for in an online broker is trust because you are going to open an account with it and fund it with real money. You will be glad to know that XM is a UK regulated company. It is a licensed broker, not only in the UK but many other countries of the world where it runs its operations. In the UK, FCA has licensed XM whereas it has received the license to operate in Australia from ASIC. It is also registered with and authorized in Belize by IFSC. With proper licensing and registration, XM operates as one of the safest brokers on the internet for the traders. You can open your account with it without any hesitation. More importantly, you will be even more comfortable when you hear about the numbers of traders that have already joined XM’s trading platform. Many brokers claim to be the best but they are still far away from having a million traders signed up on their platforms. On the other hand, XM has already crossed the million mark and has more than 1,500,000 traders who have trusted the broker with their money and information. 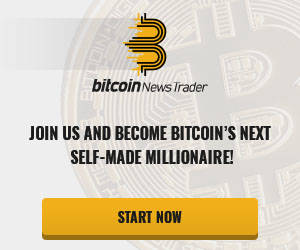 The company has people signing up to trade on its platform from 196 countries. What’s even more amazing is that the company does not provide its services to these countries just like that. In fact, according to the website, the broker has made its officials visit nearly 120 countries only to know the particulars of the market there. Requotes and rejections are huge problems with many brokers whereas XM traders have completed more than 1,400,000,000 trades without those problems so far. Being a huge company, it has 300 employees serving the traders with the best of their knowledge and expertise. XM has gone the extra mile when it came to providing the best platforms to its traders. With so many platforms available at the disposal of all the traders, no one will be forced to change the device they use just to use the trading platform. Primarily, the broker operates with MetaTrader 4 and MetaTrader 5 platforms. However, it has made these platforms available on all the devices you can think of today. In most cases, these platforms are only available for the Windows personal computers. XM has brought its platforms to MAC as well. The broker has made MT4 and MT5 available in the web-based format as well. A web-based trading platform is very famous among traders who are not so keen to download softwares on their computers and devices. With a web trader, they can access the same account and platform from anywhere in the world using any device they like. The MT4 and MT5 platforms are also available for all smartphone devices. It does not matter whether you are in the Apple’s ecosystem or love the freedom of Android phones, you can find these platforms on both these operating systems. In addition to that, you have the same two platforms available on tablet devices as well. While iPads remain the most famous tablets on the market, millions of people own Android tablets as well. That’s why XM has brought the MT5 and MT4 platforms to the tablets as well. Now, whether you have an Android tablet or an Apple iPad, you can enjoy the in-depth functionalities of the best trading platforms of the world on both devices. You can conclude at this point that the company is focused at bringing the best to its traders. There are seven different asset classes available for you to trade when you open an account with XM. There are plenty of options under every asset class so the choices are virtually unlimited. Only when it comes to forex trading, you have 57 currency pairs you can choose from. You will be surprised by the size of the spreads available on the currency pairs. What that means is that the spreads are extremely small and change from currency to currency. For example, the average spread on AUD/CAD at the time of writing this review is 0.0003. One thing that you would like to check at this point is the account type because the spreads can change based on the type of trading account you have with the broker. If you are interested in trading stocks, you have more than 1,200 choices to pick your favorite stock from. You don’t find this much flexibility of options with small online brokers. These stocks come from all the big and small markets of the world including but not limited to the US, Switzerland, Spain, France, UK, Austria, Australia, etc. Keep in mind that you trade CFDs on these stocks. What that means is that you don’t own the asset itself at any point during the trade. There are eight different commodities for you to choose from. These commodities include all the important ones such as sugar, wheat, coffee, cocoa, soybean, cotton, corn, etc. You can enjoy a lot of options in the indices category as well. With all the major indices included, you have 18 of them to trade. The broker has not left the precious metals out of the equation. You don’t find a very long list of precious metals available for trading, but you definitely have the most tradable metals i.e. silver and gold. Of course, there are seven asset classes for you to choose your trading instrument from so you have the option of energies available too. You have Brent Crude Oil, London Gas Oil, WTI Oil, and Natural Gas available for trading in addition to a couple more. The best part of the tradable assets available on XM is the cryptocurrencies. People have realized after five years that cryptocurrencies can be very profitable trading assets. You have five different cryptocurrencies available for trading on XM. It is important to note here that you can only trade cryptocurrencies and USD pairs. The cryptocurrencies available for trading include Ripple, Litecoin, Ethereum, Bitcoin Cash, and Bitcoin. Keep in mind that the spreads depend on the asset you are trading. Make sure you look at the spreads table on the website before trading CFDs on cryptocurrencies. There are three different account types that you can choose from when signing up with the broker. When you look at the details of these accounts, you find out that almost all of them are easily accessible. There are no requirements that would keep a new trader from opening any of the available account types. The micro and standard accounts give you the options to trade using these currencies: PLN, CHF, GBP, USD, AUD, EUR, and HUF. On the other hand, you have the XM Zero account that allows only EUR and USD as your base currencies. Micro account is the easiest one to maintain because the lot size can be as small as 1,000. When you look at the other account types, the minimum lot size is 100,000. The maximum leverage that you can enjoy regardless of the account you pick is 1:500. Only the XM Zero account lets you take advantage of spreads that are as small as 0. The company will take commissions from the XM Zero account holders, but there are no commissions involved for standard and micro account holders. At any given time, you are allowed to have 200 positions opened regardless of the account type you pick. Hedging is allowed with every account, and you also have the option of Islamic trading in every account type. It is an optional feature that you can switch on or switch off. Maintaining any of these accounts is a breeze with XM. With the standard and micro account, the minimum deposit you need in your accounts is only $5. On the other hand, the XM Zero account requires you to maintain a minimum balance of $100. The most amazing thing about account types with XM is that you can have one tailored exactly according to your needs as well. One of the issues that many traders face with their brokers is the delay in their trade executions. Internet latency can be deadly for someone who trades actively and benefits from small market movements. For traders who want a smooth and uncompromised experience of trading, the company has a VPS option. VPS stands for virtual private server. With this service, traders can enjoy the fastest performance of their trading platform and order execution. 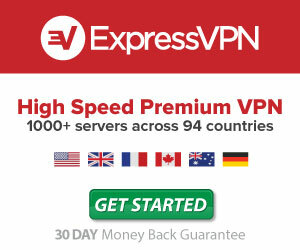 This VPS is online and working 24/7. The optical fiber connectivity ensures that your orders are executed in near real-time. You have to know that there are some requirements to be met before you can enjoy the VPS option. The other special feature from the company comes in the form of affordable deposits and withdrawals. With many brokers, you will notice that there are small fees attached to your deposits and withdrawals. These fees can be most annoying when they are in the form of percentages. It hurts when you see that a percentage of the amount you are withdrawing is going away only because you are withdrawing. However, XM has given you the option to send wire transfers, credit card payments or electronic funds without any fees. Even the withdrawals are completely free of cost. Customer support is the most important part of any company’s offering. You can never be 100% sure that your trading experience will go smooth and without any problems. Within a year, you will find yourself in unfriendly situations at least a couple of times. It is at these times that you need a customer support agent with you instantly. The first thing you will admire about the customer support from XM is that there is a live chat option available. Live chat option allows you to be in touch with an agent as soon as you land on the website. If you are not in a hurry, you can send your inquiries on an email address. All the contact details are available on the “contact us” page of the website. You also have two phone numbers that you can call when you are facing any issues with your account. What you have to remember is that the customer support is only available during the five working days of the week, which means there is no support on Saturday and Sunday. However, during the five weekdays, you have the agent support available 24 hours. Since XM is serving so many countries in all parts of the world, it only makes sense for the broker to make its website available in multiple languages. At the time of writing this review, the company website is available in 23 different languages. It is not just the presence of the company in nearly 200 countries that makes it an international business. A truly international business is one that caters to the needs of its diversified audiences. That’s exactly what XM is doing by making its website in 23 languages, sending its professionals to 120 countries to understand the market, and providing the Islamic trading option in all of its accounts. With proper regulations in multiple countries and 15 trading platforms that cater to the needs of every type of trader, there should be no doubt that XM is truly a worldwide online broker.